The Belgian Canary is not only one of the oldest canary breeds, but also one of the most distinctive and influencial! The Belgian Fancy Canary was a most important breed in the historic development of some of the most popular canary varieties available today. Its primary influence was on the development of "frilled" and "position" type breeds. As a "type canary" it is bred for physical appearance rather than color or song. They are categorized as "birds of position" and the body and hump posture form an inverted half moon. Similar birds of position, also bred for this type, include the Scotch Fancy Canary and the Italian Gibber Italicus. A good Belgian Fancy Canary requires a considerable amount of training to show well. This long thin bird is trained to stand in a hunched over perched position. A bird for a more advanced enthusiast, it is timid and tends to be nervous and high strung. It is also a little harder to breed than most colorbred birds and it is not the best feeder of its young. Distribution: The Belgian Canary is one of the oldest canary breeds. It took the Flemish a century to develop it from the Old Dutch Canary of the eighteenth century. Though there were canaries developed in various color varieties, this was reportedly the first canary breed absolutely distinct from its predecessors in body size and shape. It was then extensively used to develop other breeds including the frills, the Scotch Fancy, the Lancashire, and the Yorkshire canaries. In its earlier history it was a popular bird. Oorganizations were devoted to it in Belgium in the 1800's, later it was highly prized by fanciers in Britian, and even a specialist society was devoted to it in the United States in the middle of the 19th century. However, the Belgian Canary's popularity was severely arrested with the advent of two world wars, bringing it very close to extinction. Description: The Belgian Fancy Canary is bred for its type, body and hump, and is known as a "bird of position". It is a long thin bird trained to stand in a hunched over perched position, its back and tail being straight and perpendicular to the perch. It has a small head and a slender neck, broad high shoulders, and when seen from the back its body forms a triangular shape. It will reach an average length of about 6 3/4 inches (17 cm). The feathers should be neat and smooth, and they can be found in colors of buff, green, white, and yellow. For showing, this bird should have no red factor in its feathers. Canaries do not require toys, mirrors or any other form of entertainment, a swing is all they need to keep themselves occupied. Most of the time canaries are simply enjoyed for their beauty and singing. However, some canaries are allowed out of their cage to perch or are show canaries and therefore require taming or training. Breeding/Reproduction: Most canaries breed easily and readily if provided with quality food, lighting, secure surroundings, and conditioning. They are best bred in breeding cages.They lay their eggs in a nest. The female will lay 3 to 6 eggs, one per day. It is best to allow a hen to have only two clutches. A Belgian Fancy Canary is a timid bird and tends to be nervous and high strung. It is not a free breeder, making it a little harder to breed than most canaries. It is also not the best feeder, so many breeders will foster the eggs out to other canaries. 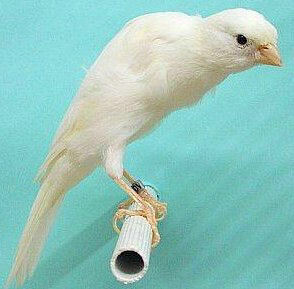 Availability: Belgian Fancy Canaries are a specialty bird with prices starting at about $60 US and up. They are fairly rare, most often available through specialty breeders, but may also occasionally be found through bird shows, bird clubs, and on the internet. Hi, I have canaries i want to sell for affordable price. If interested, do email me via michael-blake2010@live.com. you posted belgian canaries for sale in 2012 ,this is 2017 do you still have some?